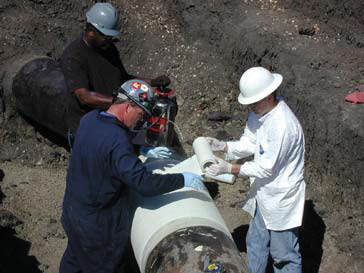 PRT Aquawrap® is our Pre-Preg, high strength composite system used to reinforce and repair piping and infrastructure components. 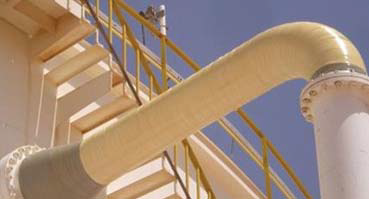 In the PRT design process it is used to halt and encapsulate external corrosion and restore structural integrity to piping. 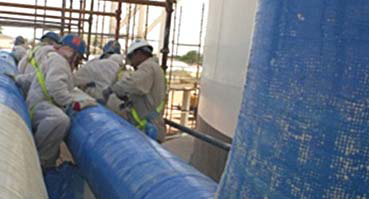 PRT Aquawrap® consists of a high strength fiberglass substrate that is factory impregnated with a Moisture Cured Urethane (MCU) resin system. Once activated by water, the chemical reaction cure takes about 30 minutes to be dry to the touch. Each of the rolls is supplied in a nitrogen filled, multi-layer Mylar bag and requires no mixing or resin preparation. 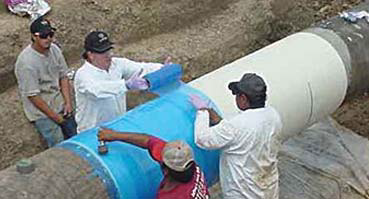 PRT Aquawrap® is available in a variety of widths from 2 to 12 inches and lengths up to 150 feet to accommodate any pipe size. 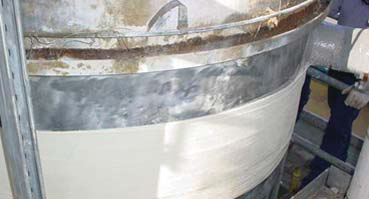 It creates a permanent bond to a variety of materials such as metals, concrete, wood and plastics. 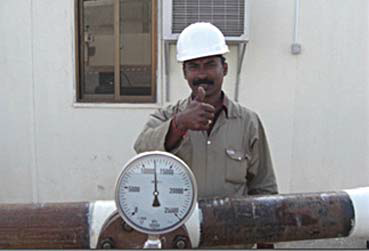 When cured, it is impervious to fuels, most solvents and chemicals. 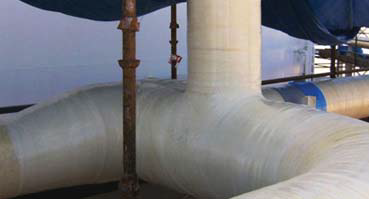 PRT Aquawrap® is the product of choice when installing in wet or underwater conditions. It can be applied and fully cured under water. It is best suited for structural reinforcement applications where it can be wrapped around an object, rather than flat surface repairs. 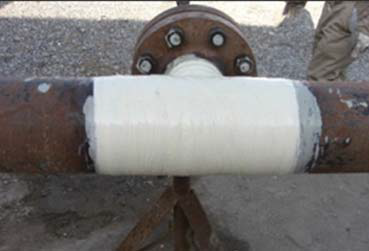 It replaces hoop and axial strength to piping to restore its original capabilities. 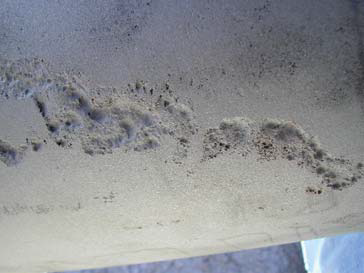 It is also effectively used to reinforce piers, pilings and infrastructure supports for concrete remediation projects. PRT Aquawrap® contains no VOCs, is odorless, non-flammable, non-toxic, ships non-hazardous and is NSFcertified to ANSI/NSF Standard 61 for use with potable water. All products are readily available in a wide variety of other fabric materials and weaves as well as many widths and roll lengths or pipe size kits. In addition, custom product designs and product type integrations for special customer applications are available. Values listed represent the latest test results for the warp direction. Contact PRT Technical Support for more information. 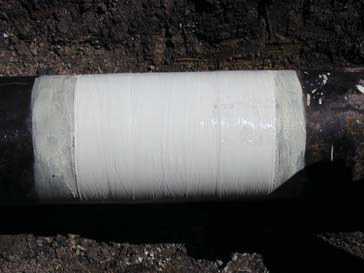 An axial split occurred in the pipe between the area of the wrap and the welded end cap. 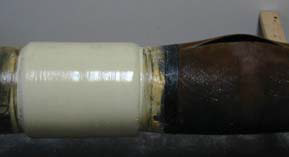 The split was 18” long and 2.063” at its widest point. The wrap was unaffected by the failure. 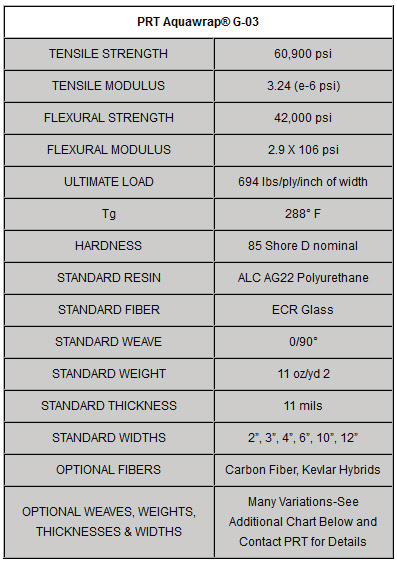 The composite wrap measured 17.25” wide and .6875” thick. There were no apparent leaks in the pressurized assembly. 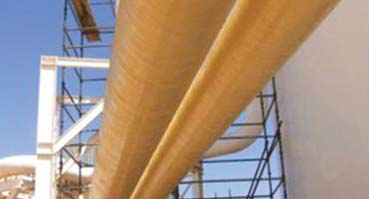 The diameter of the pipe increased measurably between the wrap and the welded end cap. The diameter at the end which did not fail increased to 14.06” as the steel yielded. 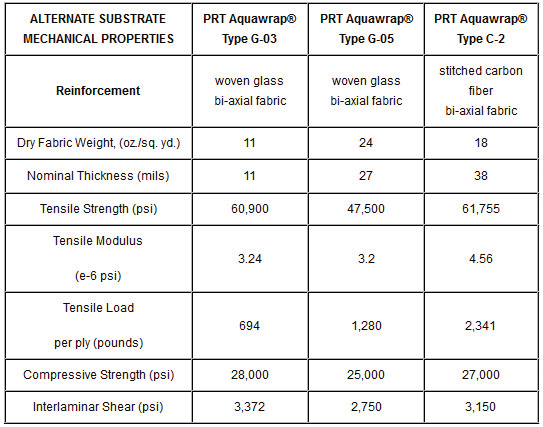 Conclusion: PRT Aquawrap® was able to reinforce the weakened area and outperform the untouched pipe. 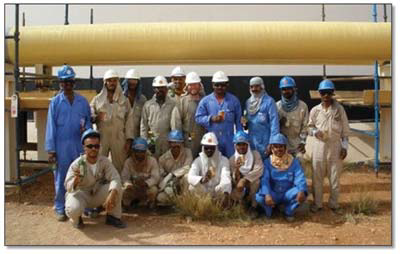 Job Well Done – Two 8 man crews complete installation of 420 meters of 36”, 24” and 16” PRT PowerSleeve® and PRT Aquawrap® in just 26 days.